Educational Excellence and Hometown Values - providing responsible, competent graduates who are well-adjusted, productive citizens, respecting themselves and others. Waconda U.S.D. 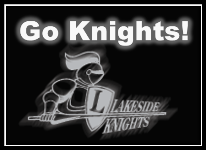 272 / Lakeside schools is a unified school district serving the communities Glen Elder, Cawker City, Tipton and Downs, Kansas. The District's mission is to provide responsible, competent graduates who are well-adjusted, productive citizens, respecting themselves and others. They will be lifelong learners in a rapidly changing society.